Go Beyond Vision Correction. The Contact Lens that Knows Light. We are proud to be one of only a few practices in the St. Louis area offering the newest contact lens available. 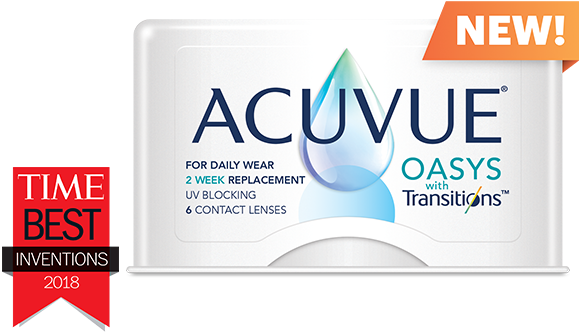 Introducing ACUVUE® OASYS with Transitions™ Light Intelligent Technology™, the first-of-its-kind contact lens that seamlessly adapts to changing light to provide all-day, soothing vision. View the video to see the lens in action! Balances the amount of indoor and outdoor light entering the eye, including filtering blue light† and blocking harmful UV rays. Helps patients’ vision recover from bright light up to 5 seconds faster. Brings out the best in everything patients see by providing enhanced color contrast.